Manitoba is an outlier among most Canadian provinces. If you ask its health minister, Cameron Friesen, a question about abortion — say, about the abortion drug Mifegymiso — he’ll brush you off and tell you to take it up with Status of Women Minister Rochelle Squires. She is the government spokesperson on the file, even though funding for reproductive services comes entirely from the health care budget. There is little clarity on how these two departments communicate or make decisions. But what is clear is that by deferring to a different ministry, the health minister has convenient cover for refusing to answer questions. 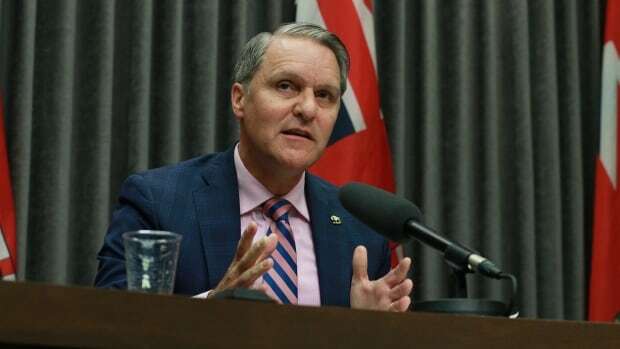 Minister Friesen’s predecessor, Kelvin Goertzen, repeatedly declined comment on anything related to reproductive health. Goertzen was criticized for speaking at an anti-abortion rally during his time as health minister (which he defended as a venue for him and his wife to cope with miscarriages), so perhaps there was a deeper reason for him to deflect accountability on reproductive health. Why does accountability matter? Because current policy on reproductive health – the lack of Mifegymiso access, in particular – perpetuates health care inequality for rural and low income Manitobans, though it is something that the health department refuses to discuss. Manitoba is one of only two provinces that doesn’t provide universal coverage for the drug, meaning that if you aren’t able to go to one of the three clinics where Mifegymiso is covered (two in Winnipeg and one in Brandon), you’ll have to pay $350. This makes cost a huge barrier to medical abortion outside of those two cities. In remote regions of the province, patients fly out for surgical abortion, so an accessible medical option would have great benefit, sparing many the stress of leaving home and the potential health risks of delaying an abortion. But the health ministry won’t address the fact while rural Manitobans have the most to gain from Mifegymiso, they are actually the ones with the least access to it. By punting off questions about reproductive health, the province is framing these services as political, and not fundamentally about health. Therefore, robust, accessible reproductive care becomes not about meeting health needs, but rather, about the political value (or lack thereof) in addressing concerns labelled “women’s issues”. The practical reality is that when access to an important drug is dramatically worse for rural patients living in poverty (who are also disproportionately Indigenous), the health minister doesn’t need to spend any time thinking about it. Removing accountability for abortion as a health service projects it into the realm of the political. And often times, it’s not patients whose interests are served when reproductive health is politicized, but rather, groups like We Need a Law, which shared a stage at the Life Hike Rally with former Health Minister Goertzen last year and advocate for a total ban on abortion at 13 weeks (except only when the pregnant person’s life is endangered). They take issue with the fact that since 1988, Canada has viewed abortion as a health issue and drafted no specific laws on it, which to some signifies an unregulated Wild West — a place where pregnancies are terminated the day before the due date because there are no rules. This falsehood is vehemently rejected by providers of reproductive health, as lack of legislation doesn’t mean something is unregulated. On the contrary, abortion is regulated as a medical and surgical service within the health care system. There’s no law governing appendectomies either, but we wouldn’t expect the safety of people seeking appendectomies to improve if a raft of politically motivated legislation replaced current surgical guidelines. Likewise, no external authority — especially one motivated by political interests — would better prioritize the health of pregnant people than a system already geared toward maximizing healthy outcomes. Ultimately, pregnancy care is a spectrum – everything from miscarriage to infertility to abortion to birth is possible, depending on the situation. A society that prioritizes the health and well-being of pregnant people provides high-level care at each point along that spectrum. Those of us invested in keeping pregnancy care strong in Canada need to resist all attempts to remove abortion from health care — even if it’s just in communication between elected leaders and their constituents. Voters who think the health of pregnant people comes first must pay attention to politicians who buy the disingenuous claim that abortion is unregulated or behave as though health ministries have no accountability for reproductive health. Abortion is health care, a simple truth that should guide both how we provide it and how we protect people’s rights to it.